After pursuing study in ceramics in central Texas in the early 80’s, Lisa received on-the-job training from several local potters. She spent some years developing her work and selling it at regional shows before returning to academia, eventually earning an MFA and studying abroad. In the mid 90’s she returned to Texas to continue her ceramics career. Her distinctive work has brought recognition and awards over the years. Currently she teaches, presents workshops at universities and art centers, shows internationally, and looks for ways to promote the appreciation of handmade functional ceramics. She is a founder of the Art of the Pot Austin Studio Tour bringing North America’s most cutting-edge ceramists and their work to central Texas annually on Mother’s Day weekend. An active member of the Austin arts community, Lisa co-directed several large-scale community mosaic public art projects and co-produced three educational ceramics films that have received festival screenings. Lisa creates sumptuous utilitarian low-fire pottery for use in daily life. Each piece is an individual artwork, rich with color and texture. Though rooted in the deep history of ceramics, her forms are fluid and often gently asymmetrical: a combination of the clay’s natural expression and her own inspiration in the moment. Low relief decorations follow soft slip layers in suggesting a sky, coral reef, or flowers in bloom. Lisa’s pottery pieces bring garden color to the table. Sturdily crafted, they will withstand decades of use and enjoyment. She delights in working in her studio exploring her newest form and glaze ideas. 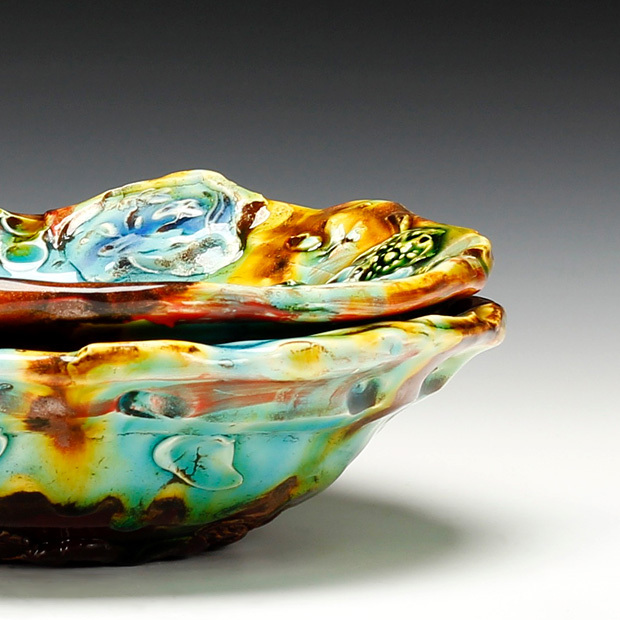 Every piece is made its unique best as if she were keeping it; afterward applying layers of flowing glazes to give rich, jewel-like color tones. 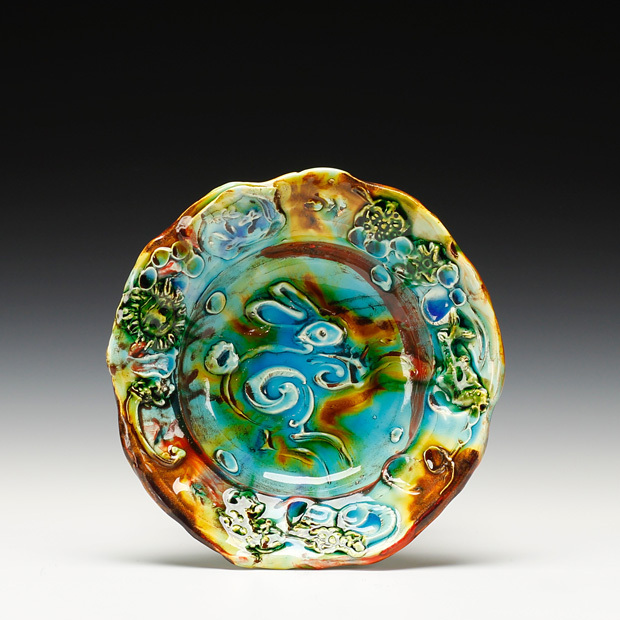 Her customers follow the changes in her artistic evolution over the years and look forward to surprising new and beautiful results from the kiln.